This week has absolutely flown by! For the first time ever, I left work today and didn’t realise it was a Friday because I hadn’t even had a moment to sit back and TGIF! So a busy week means lots to tell you about in my Saturday post. …Filming for an exciting project. And it’s killing me that I can’t reveal what it is yet! But we were shooting the video all over Fulham and Chelsea, starting off in the fabulous Avant Shop, and then heading to King’s Road to do some shots around the shops. … Wined and dined by the lovely ladies at BonPrix. 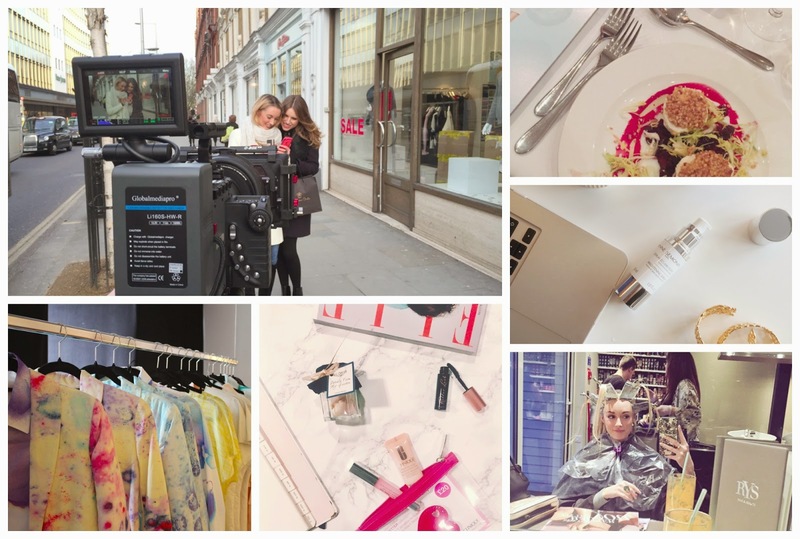 The brand treated a few of us #fbloggers to a three course dinner at Kettner’s in SoHo. We had so many giggles (especially when I revealed by secret crush on Mufasa, yeah, from The Lion King!) and the new collection is a dream! … Doing an Instagram Takeover for Anne Semonin. This week I shared my snaps of beauty, skincare and lifestyle over on the @AnneSemoninUK instagram account. The brand is quickly becoming my Go-To for skin emergencies, their Resurfacing Peel Mask is like hitting the refresh button on tired skin after a long week. … Getting a hair make-under at RYS. I’ve been bright blonde for the past 5 years or so, and the constant touch ups were causing my hair condition to deteriorate, so I headed to RYS in Knightsbridge armed with photos of Rosie Huntington-Whiteley’s natural dark blonde locks. I’ll be sharing the results soon on the blog, and yes, I know I look like the Statue of Liberty with my hair in foils! Next Post My Favourite Websites!